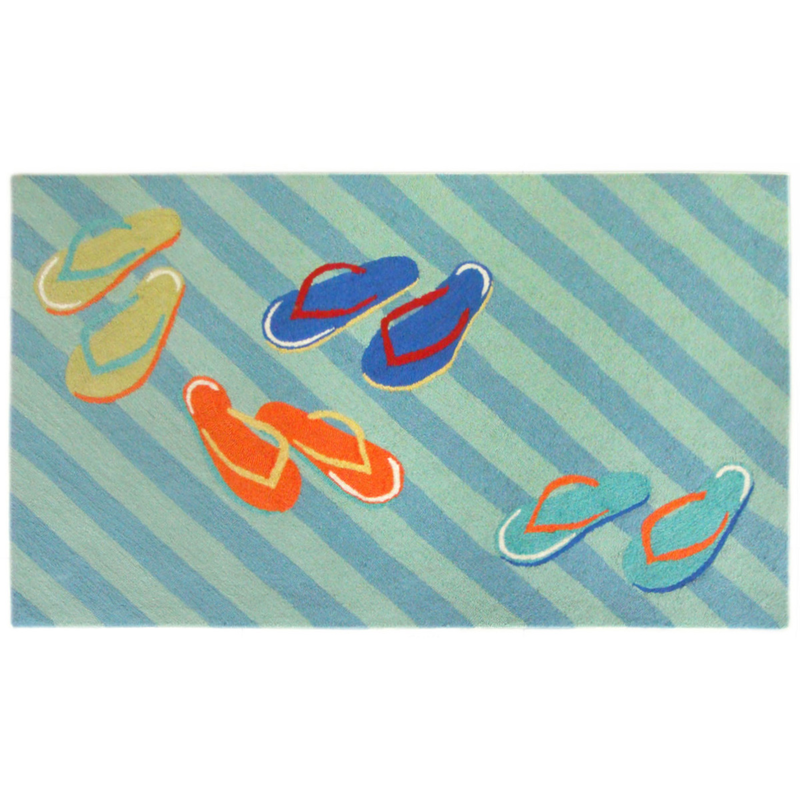 Aqua, blue, orange, red and gold flip flops on a sage and seafoam striped background in hand-tufted 80% acrylic/20% polyester. Spot clean. These nautical area rugs are suitable for indoor or outdoor use. 3'6"W x 5'6"L. Ships from the manufacturer. Allow 1 week. Cannot express ship.